Many people might wonder if they are able to restore WhatsApp chats and messages deleted from their iPhone or Android smartphones/tablets. Here we present some methods as a solution. 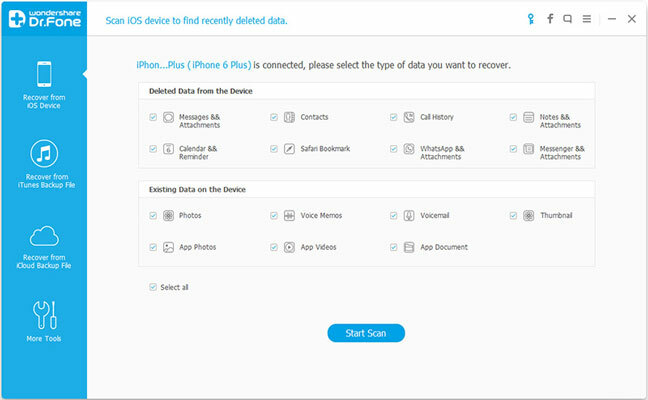 In order to restore data such as these messages from mobile devices (including iPhone 6, iPhone 6s, iPhone 5, iPhone 5s, iPad, Android phones and tablets), here we use a powerful recovery tool which has been reviewed several times on Techalook website. This software is Wondershare Dr.Fone which is a great recovery program used to retrieve deleted or lost data such as IM messages, videos, photos, SMS, notes, and so on. Please note that although we explain the steps for an iOS device, similar steps could be done to restore WhatsApp messages from Android cellphones and tablets. Step 1. Before doing anything users need to run Wondershare Dr.Fone application on their systems. After that they could connect the device to the computer using the USB cable. Step 2. On the left panel of the program’s interface, there is a section ‘Recover from iOS Device’. Click on it in order to see the options on the right panel of the Dr.Fone interface. As it could be seen, lots of items could be checked for scanning; among them is ‘WhatsApp & Attachments’. So don’t forget to choose this data type. At this time or later, users could always scan for items from another data types on their iPhone or iPad. These data could be call history, notes, contacts, photos, videos and so on. The last action in the step is clicking on ‘Start Scan’ button on the bottom of the screen. Step 3. 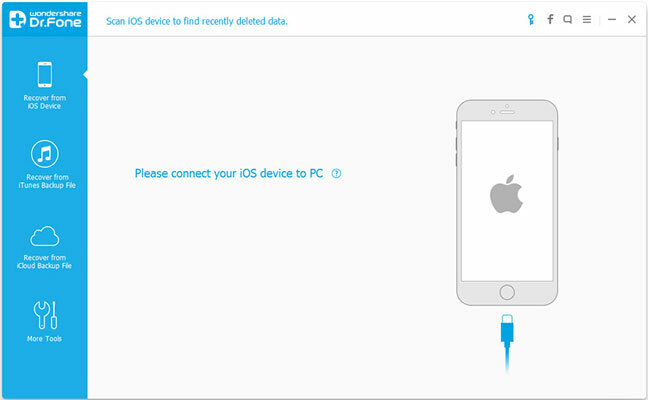 After the scan process is completed, the deleted data on the iOS could be seen on the result window. To make the preview and choosing items much simpler, users could select specific categories such as ‘WhatsApp Attachments’ or ‘WhatsApp’ from the left panel on the screen. And before actual recovery, it is possible to read the chats (including emoji and attachments). After all needed messages are selected users could restore and save all messages on their system by clicking on the ‘Recover to Computer’ button. This method only works for those who have backed up their device prior to chats and messages deletion. The first step is similar to the above instruction. Just in step 2, the ‘Recover from iCloud Backup’ should be selected. 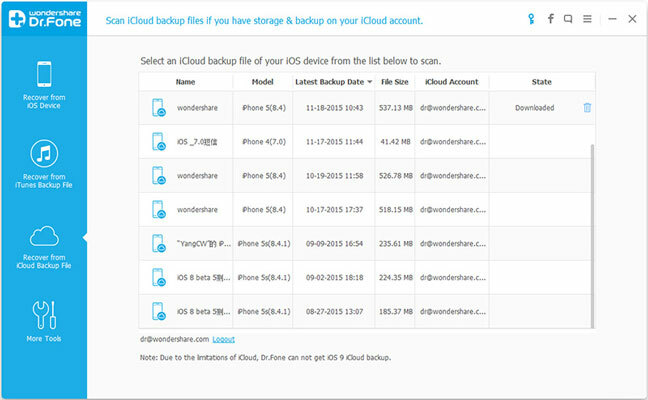 All backup files on iCloud will be shown on the screen after iCloud account login. As it is displayed here, from the files list items such as name, model, file size and iCloud account could be viewed. 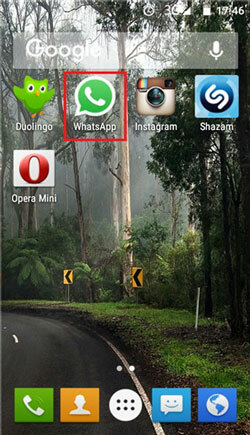 Each one containing the deleted WhatsApp messages could be clicked for downloading. 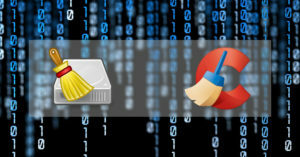 This way it is much faster to get access to the deleted data compared to downloading all files. Similar to the iCloud method, if before losing WhatsApp chats, the iPhone had been synced with iTunes, it is possible to restore the WhatsApp chats and messages on iPhone or iPad. Again, very similar to the above steps, this time ‘Recover from iTunes Backup’ should be clicked from the left panel of the interface. Next, the program loads and displays the iTunes backup files list on the windows. 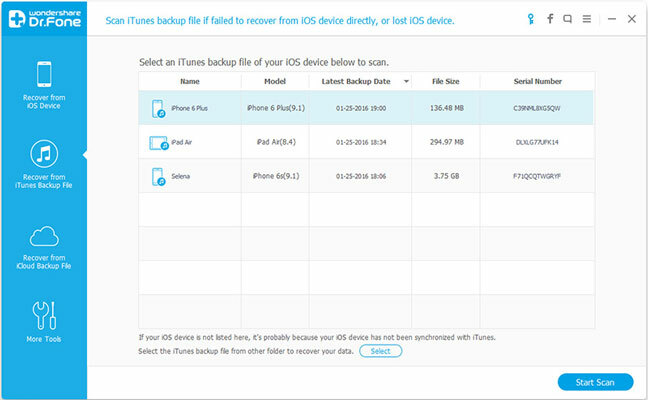 To extract their contents, users need to click on the button ‘Start Scan’ after selecting the right backup file for their iOS device. And the next step which is preview and recovery is just like the step 3 in the direct method mentioned above. 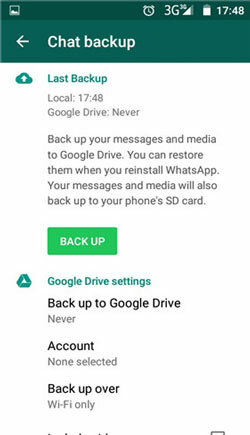 Backing up WhatsApp is a proper action so that no similar problems related to losing data such as chat and messages occur in the future. 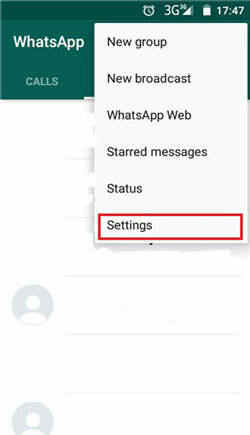 Saving chats in a txt file – after running WhatsApp app, try to find ‘Send chat history’ from this path: ‘Options>Settings>Chat history’. After choosing the chats which should be backed up, tap on the ‘Email chat’ so that the file will be sent to the email address provided. 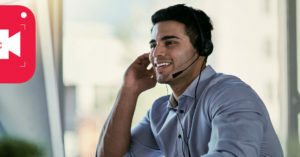 Google Drive backup – This time please go to the ‘Chat backup’ from ‘Settings>Chat and calls’ menu, after opening WhatsApp. Pressing ‘Back up’ is the only thing needed to be done next. But please remember that in order to backup all messages and media to Google Drive, a Google account is needed.